^ Lord Twining, Edward Francis: European Regalia, B.T. Batsford Ltd. London, 1967. p 39. 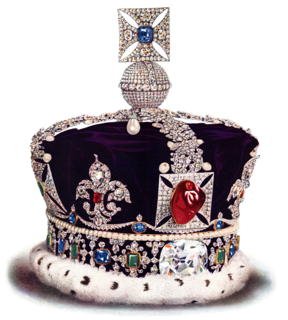 This article related to German royalty (1871–1919) is a stub. You can help Wikipedia by expanding it. Pope Clement II, was Pope from 25 December 1046 until his death in 1047. He was the first in a series of reform-minded popes from Germany. The Black Madonna of Częstochowa, also known as Our Lady of Częstochowa, is a revered icon of the Virgin Mary housed at the Jasna Góra Monastery in Częstochowa, Poland. Several Pontiffs have recognised the venerated icon, beginning with Pope Clement XI who issued a Canonical Coronation to the image on 8 September 1717 via the Vatican Chapter. Bamberg Cathedral is a church in Bamberg, Germany, completed in the 13th century. The cathedral is under the administration of the Roman Catholic Church and is the seat of the Archbishop of Bamberg. Since 1993, the cathedral has been part of the UNESCO World Heritage Site "Town of Bamberg". The Prince-Bishopric of Bamberg was an ecclesiastical State of the Holy Roman Empire. It goes back to the Roman Catholic Diocese of Bamberg established at the 1007 synod in Frankfurt, at the behest of King Henry II to further expand the spread of Christianity in the Franconian lands. The bishops obtained the status of Imperial immediacy about 1245 and ruled their estates as Prince-bishops until they were subsumed to the Electorate of Bavaria in the course of the German Mediatisation in 1802. The so-called Gunthertuch is a Byzantine silk tapestry which represents the triumphal return of a Byzantine Emperor from a victorious campaign. 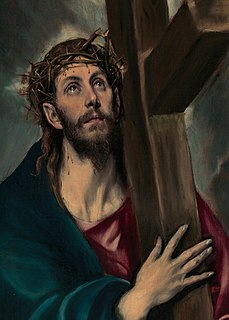 The piece was purchased, or possibly received as a gift, by Gunther von Bamberg, Bishop of Bamberg, during his 1064–65 pilgrimage to the Holy Land. Gunther died on his return journey, and was buried with it in the Bamberg Cathedral. The fabric was rediscovered in 1830, and is now exhibited in the Bamberg Diocesan Museum. 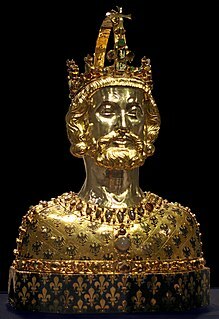 The Bust of Charlemagne is a reliquary from around 1350 which is supposed to contain Charlemagne's skullcap. The reliquary is part of the treasure kept in the Aachen Cathedral Treasury. Made in the Mosan region, long a center of high-quality metalwork, the bust is a masterpiece both of late Gothic metalwork as well figural sculpture. A church treasure is the collection of historical art treasures belonging to a church, usually a monastery, abbey, cathedral. Such "treasure" is usually held and displayed in the church's treasury or in a diocesan museum. Historically the highlight of church treasures was often a collection of reliquaries.